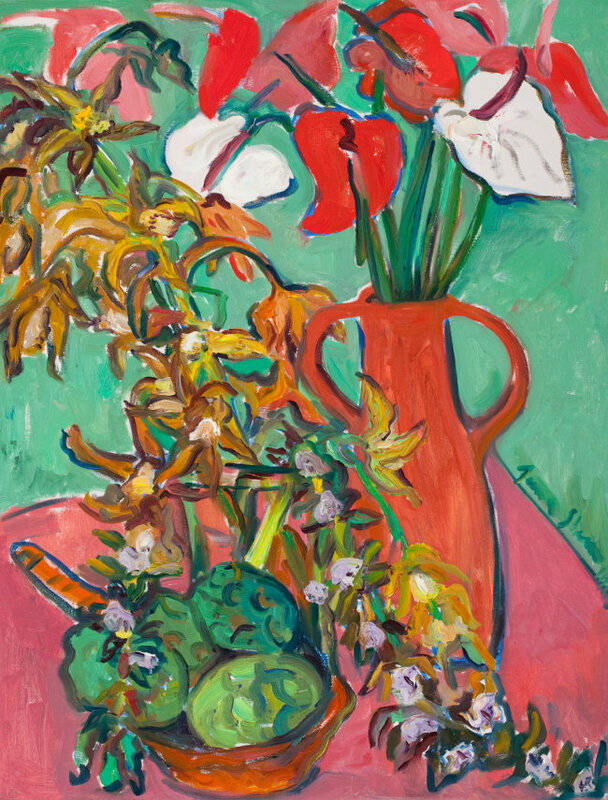 Irma Stern was born in South Africa in 1894, although she spent most of her childhood in Europe, as her parents were German. Her father and two older brothers were made prisoners of the Anglo-Boer war after expressing sympathies with the Boers and upon their release, the family moved to Germany. They would move between countries regularly, but spent most of their time in Berlin, where, in 1913, Irma decided to stay and study art. 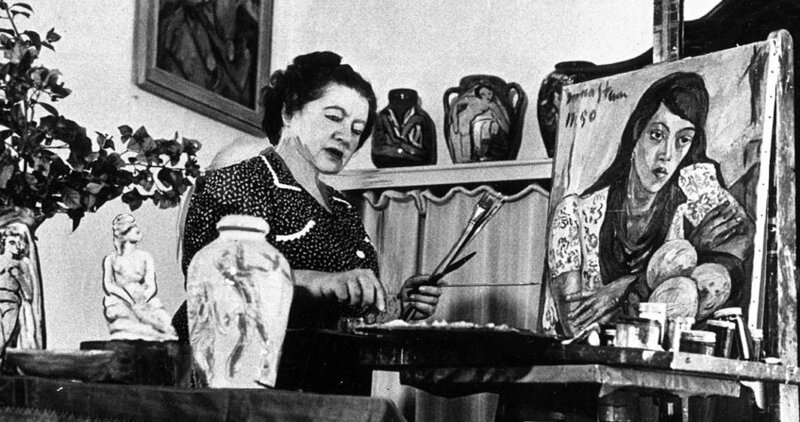 Irma struggled to find inspiration in her schooling, where her artistic expression was unappreciated, but when she met the leader of a German Expressionist group, Max Pechstein, she finally felt as though she had found someone she could be influenced by. She began exhibiting at shows throughout 1918 and 1919, including her first solo exhibition before heading back to South Africa in 1920. 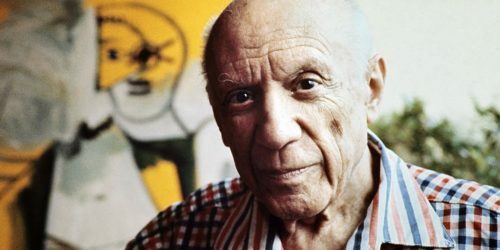 Her modern, expressionist style did not go down well in South Africa, with a police investigation into the decency of some of the pieces of her art. Eventually, the critics came around, particularly when her exhibitions were so well received in Europe. In 1927, she won the Prix d’Honneur at an exhibition in Bordeaux, which was a catalyst for her then being asked to represent South Africa at an art exhibition in London two years later. One of her earliest pieces was a portrait of a young girl, entitled Eternal Child. 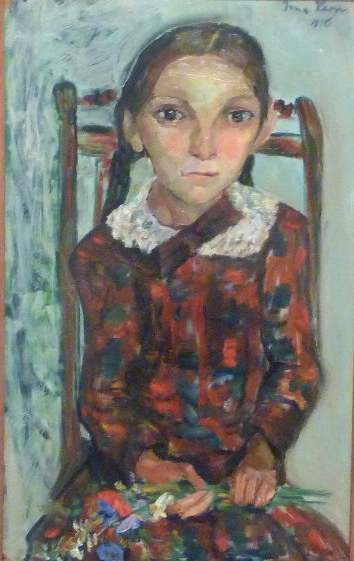 Painted from memory after spotting the malnourished child on a train in Germany during the first world war, Irma considered it to be her breakthrough piece, refusing to sell it and using it to portray her unique portrait style. 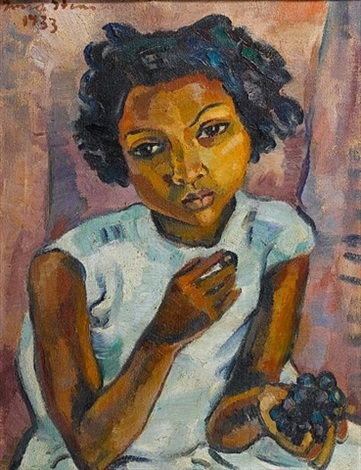 Irma’s ability to represent the fragility and innocence of childhood is something she revisited only a handful of times through images including Portrait of a Girl Eating Grapes and Portrait of a Malay Child. 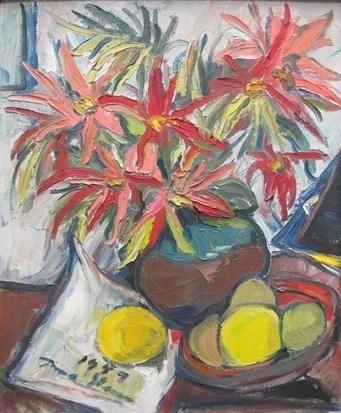 These pieces are highly commended, but once she ended her unhappy marriage of eight years to Johannes Prinz, her former tutor, she seemed to fall out of love with the idea of children, perhaps because she never became a mother herself, and they rarely featured in her work after the mid-1930s. 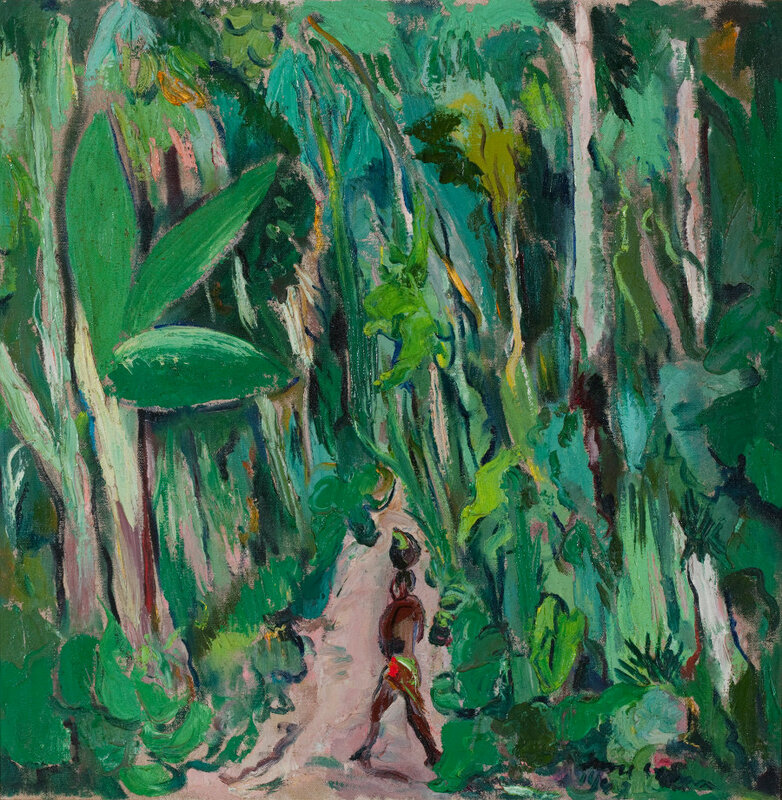 Irma’s curiosity of other cultures took her all over the world, especially Africa, and her paintings were inspired by the people she saw on her travels. 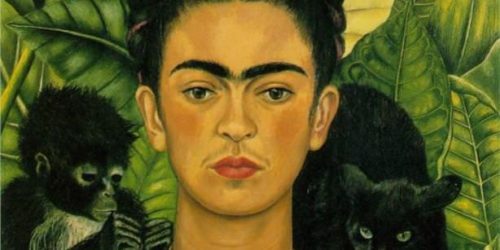 She was unusual for her time, as she travelled alone – something unheard of for women, and leaned towards painting indigenous tribespeople, perhaps seeing something of herself within them, a concept that was hard for her contemporaries to understand. 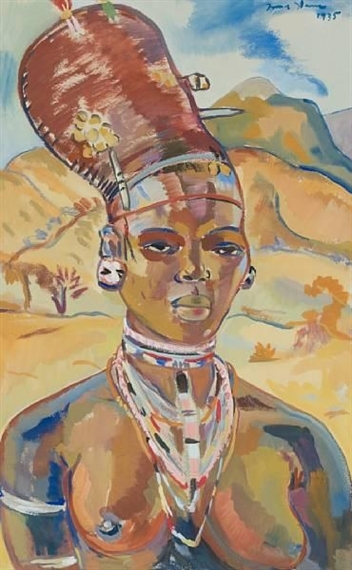 However, many of these paintings, including The Hunt, Portrait of a Pondo woman and Portrait of a Zulu Woman, although of individual people, are intended to characterise the culture they belonged to and so have some very stereotypical characteristics, rather than individual representations. 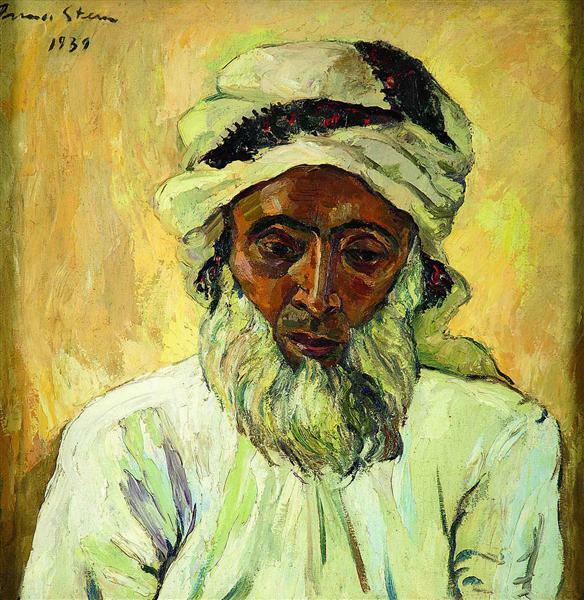 Her concern as an artist was to paint subjects that were pure and unspoiled by western ways. She saw these characters as exotic and fascinating, and as colonialism took over, she moved to different areas of Africa, hoping for a fresh muse. 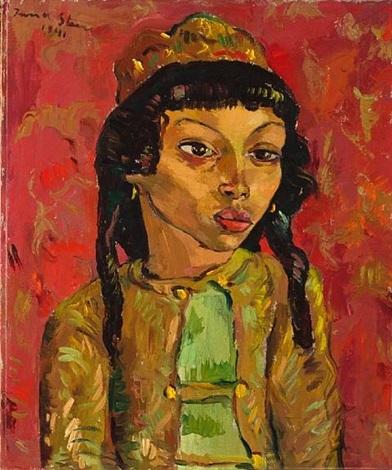 Irma identified with the neo-expressionist style of painting, thanks to her early mentorship with Pechstein, although she soon outgrew and developed faster as an artist than he did. 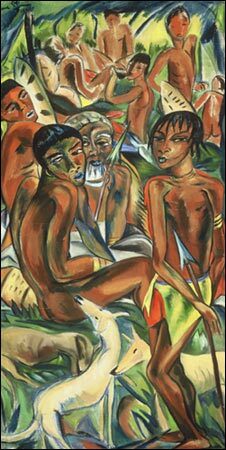 She used strong, prolific brush strokes, with thick, vivid colour to present her ideological viewpoint of tribal Africa. She found comfort in the idea that those close to nature were as authentic as mankind could be and most of her career was built on this philosophy. Despite her tentative start as an artist, particularly in her home country of South Africa, this vision paid off and Irma arranged over a hundred solo exhibitions throughout her lifetime and was awarded an impressive number of titles. In 1952, she was given the Molteno Grant for outstanding work. Then, in 1960, she won the Guggenheim Foundation National Award for South Africa, followed by the Oppenheimer Award in 1963 and the Medal of Honor of Die Suid-Afrikaanse Akademie vir Wetenskap en Kuns in 1965. She also attended the Venice Biennale in 1950, 1952, 1954 and 1958 as a representative of South Africa. Irma died in 1966 while a retrospective exhibition was being planned in her honour in London. Her home has become something of a tourist attraction and the Irma Stern museum was opened in 1972 in Cape Town, with some rooms still decorated and furnished in the exact same way she left them. 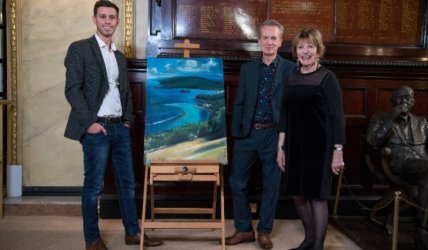 She is considered to be one of the most important artists to have come from South Africa and her paintings still command a hefty price tag at auction.